Perhaps they will, perhaps they won’t, but if China and the US do reach a trade agreement in coming weeks it will likely be very long. Meeting to seal the deal, President Donald Trump and China’s leader Xi Jinping will be able to display to the cameras a document of at least a hundred pages. A deal will confirm that economic globalisation will continue and that the very difficult and very productive relationship between the two giant economies will remain at its centre. For all its size, however, the substance of the agreement is likely to be straightforward. The real interest will not be the deal, which is likely to be humdrum. It will be in what it signifies, which could be immense. China has already agreed to buy more US goods and services, perhaps $200 billion a year more or $1.2 trillion over six years. It has already removed most foreign investment barriers in manufacturing and will commit to a faster schedule of liberalisation in services. Visa and Mastercard, for example, will be permitted to compete in domestic payments, and some US financial businesses may be able to offer more services in China as wholly owned subsidiaries. 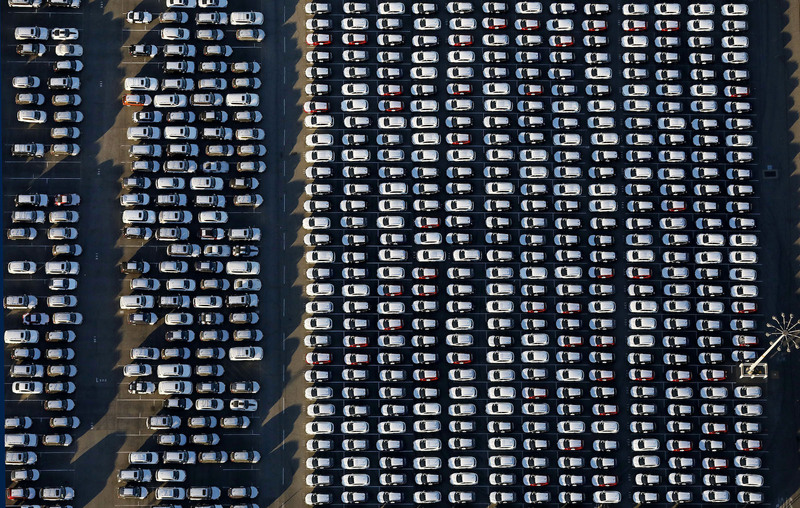 China may reduce automobile tariffs below 15%. Useful, but not history-making changes. China will also be able to meet many US demands on intellectual property. It will commit to cracking down harder on intellectual property theft. It will probably commit to disciplining provincial authorities where they require foreign corporations to transfer intellectual property into joint venture vehicles with a local partner. But foreigners are now permitted to enter almost all China’s manufacturing sectors without a local partner, so the “forced transfer” issue is of declining significance. Formally or informally, China may restate its adherence to the 2015 agreement between the US and China not to use state-sponsored cyber attacks to steal business secrets. (Stealing state secrets remains OK). US officials claim the agreement will cover industry subsidies, but it will probably reference only a small subset of subsidies. World Trade Organisation rules discipline many subsidies which directly affect other countries’ trade in a serious and specific way. In the forthcoming agreement, China may commit to more prompt WTO notification of subsidies that fall into the disciplined category. In July last year, China submitted a 170-page list of these programs to the WTO. Most subsidies are not now covered by WTO disciplines. In his new book The State Strikes Back, US economist Nicholas Lardy estimates that direct subsidies to state-owned or controlled firms in China totalled around US $80 billion in 2015. An International Monetary Fund estimate, which also takes into account concessional or forgiven loans, offers an estimate three times higher. Most of the direct subsidies are intended to promote government policies such as higher use of natural gas or electric vehicles. They are on a larger scale in China, but many governments offer such subsidies – including in the US and Europe. China would probably insist that if there is to be negotiation it include industrial and farm subsidies in the US, Europe, and Japan as well as in China. Enforcement issues are said to have complicated finalisation of a deal, and may well yet wreck it. The most recent US position appears to be that penalty tariffs will be reimposed if, in the US opinion, China has not fulfilled the commitments it will make. China might let that through because, after all, the Trump administration would do it anyway. But China is unlikely to agree not to reciprocate, which is the US demand. As to the wider issues that were earlier thought to be among the US ambitions, they would have proved non-negotiable. China will not accept any agreement to limit the role of the Communist Party, the role of state planning, or its technological ambitions, any more than the US would permit discussion of comparable institutional arrangements. The likely deal will not alter the trajectory of the relationship between the US and China in any major way. It will do the opposite. It will imply that economic separation (“decoupling”) of the US and China has not been pursued. It will confirm that economic globalisation will continue and that the very difficult and very productive relationship between the two giant economies will remain at its centre. After more than a year of increasing danger to the global trade system, that would be a very important outcome. The deal will also remind us that the economic trajectory of the US and China depends far more on decisions the US and China make about their own economies than agreements they reach with each other. As Lardy’s timely new account of China’s choices makes clear, most of the challenges to China’s growth are posed by its internal policies. Much the same can be said of the US. China’s economic growth, Lardy persuasively argues, has been hampered by the poor performance of many of its state-owned enterprises. Some are subsidised to continue producing too much, at too high a cost. Yet in recent years, he shows, the share of total investment by state-owned enterprises has been rising, along with their share of loans from China’s largely state-owned banking system. This is inevitably at the expenses of the far more efficient private sector which provides nine-tenths of China’s exports. It follows from Lardy’s argument that if the US was successful in its broader aim of reducing industrial subsidies in China, of reducing the role of state-owned enterprises and of state planning instruments, China would become a more formidable competitor to the US than it already is. Even with the portending deal, the tensions between China and the US will certainly persist. Economic competition between the US and China will increase as China becomes technologically more advanced. There will be less symbiosis and more competition. At the same time, each will continue integrating into a global economy in which mutual dependence and prosperity are bound together.